If you tried your standard all purpose cleaner, you’ll likely found it doesn’t work to clean stainless steel. Infact, I bet it made it even worse! And if you tried one from the store I bet you noticed the stench right away. It smells awful doesn’t? Which made we wonder what chemicals it contained. Did you know the Environmental Working Group uncovered many manufactures do not disclose ingredients on the product labels? Yeah, that makes me even more skeptical… Luckily, the EWG developed a Guide Healthy Cleaning. It’s a searchable guide where you can see all the ingredients of a cleaning product and if it contains any hazardous chemicals. Pretty handy, right? Guess what I found? The stainless steel spray I thought was natural was rated an F for hazardous chemicals. Containing chemicals known to cause cancer, irritate the skin or cause an allergic reaction, along with respiratory and nervous system warnings. Eek! 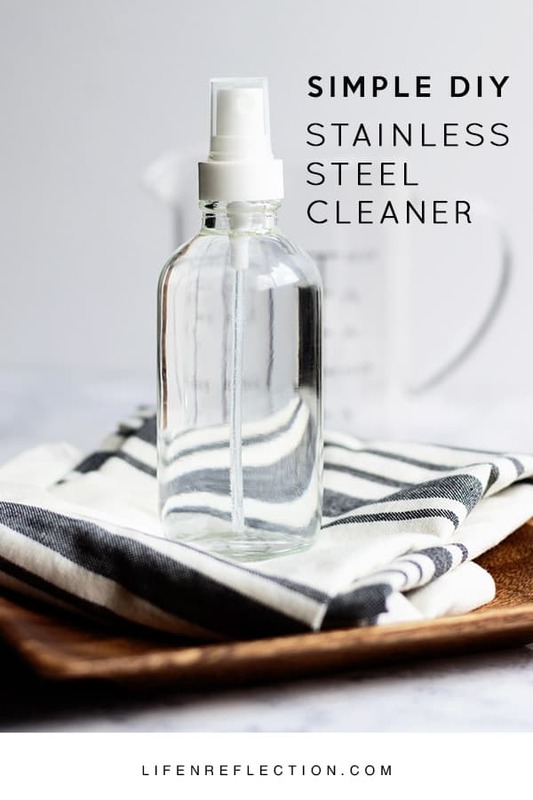 Wondering how do you clean stainless steel naturally? 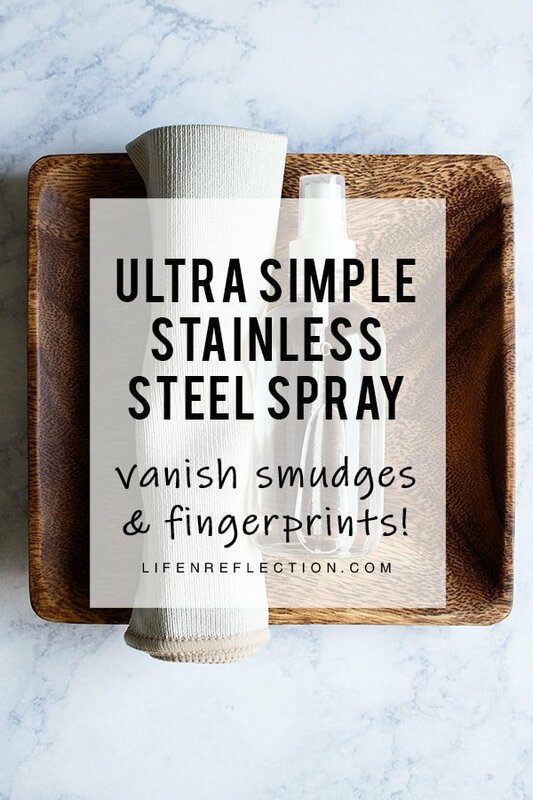 If you want to vanish the fingerprints on your stainless steel appliances without smelly chemicals, I’ve got a solution! All you need is a few ingredients to disinfect and keep your stainless steel looking shiny new. Learn more about cleaning with essential oils here. This post contains some affiliate links for your convenience, read full disclosure policy. Using a funnel start by pouring half a cup of isopropyl alcohol into an eight ounce glass bottle. Remove the funnel and add two drops of lavender essential oil. Place the funnel back in the bottle and fill with half a cup distilled water. Remove the funnel and place the spray nozzle on the bottle. Shake once to mix ingredients. How do you get stainless steel to shine? And how do you remove streaks from stainless steel? That’s simple! 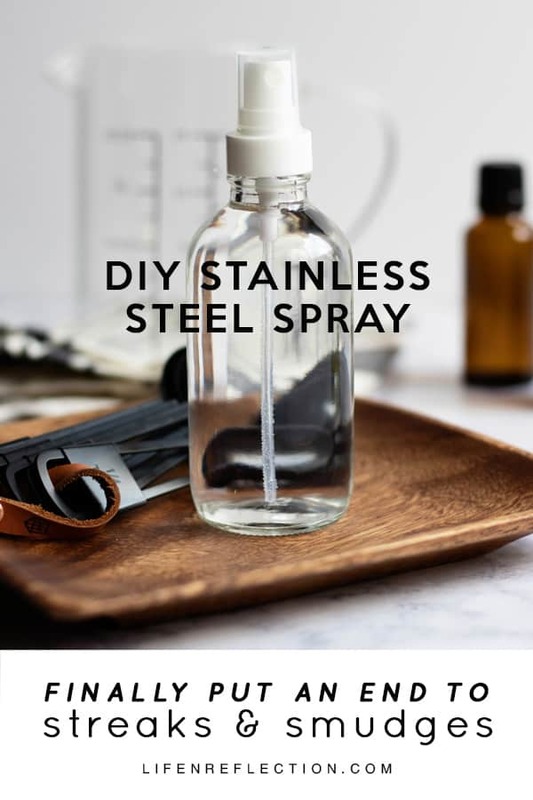 Lightly spray the surface with your DIY stainless steel spray. Then wipe in the direction of the grain with a microfiber cloth. Always remember to test any new cleaners first store-bought and homemade on a small, inconspicuous area. 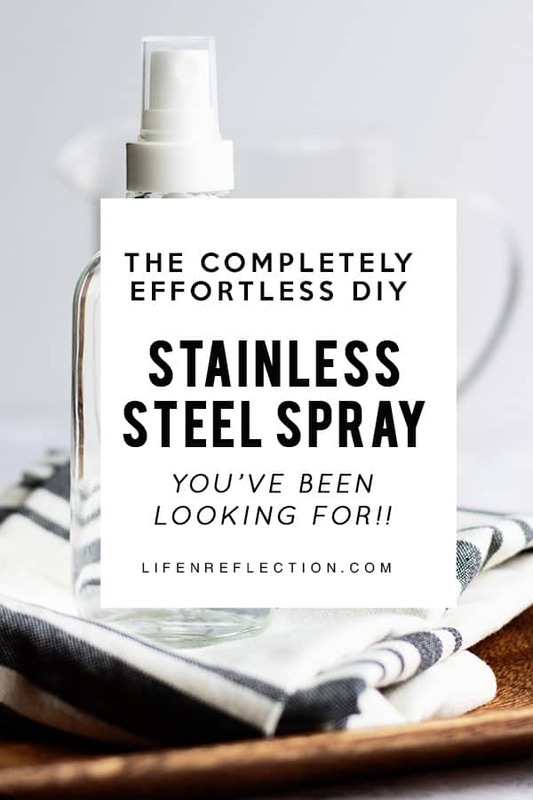 This DIY stainless steel spray cleans and disinfects in addition to making your kitchen appliances shine! I use it on all our appliances including the fridge, stove, and dishwasher. 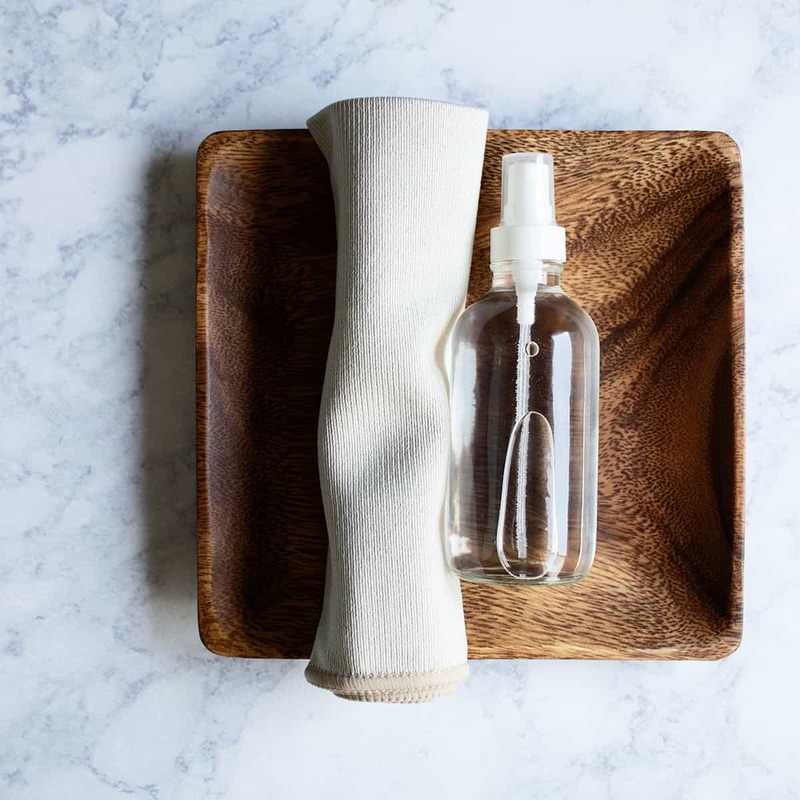 But, if you’re not ready to make your own cleaners, then start with a free natural cleaning kit from the Grove Collaborative.